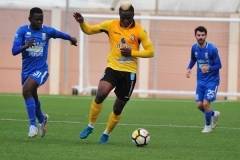 Valletta defeated Sliema Wanderers 2-0 to move to just one point behind leaders Birkirkara despite having to play for forty-five minutes in ten men. The leaders, however, have a game in hand and will be in action against Hibernians on Sunday. During the first half, the Wanderers shared the exchanges with their opponents but after the break, the Citizens were a better side. For Sliema, this was the third defeat in four matches and now the third place, which they now share with Qormi, is even more at risk. The Blues were a depleted side due to the absence of Alex Muscat, Mark Scerri, Ryan Fenech and Clayton Failla. Valletta, on the other hand, lacked Jordi Cruijff but Jamie Pace and Edmond Agius were available once again after serving a one-match ban. For the Citizens, captain Gilbert Agius reached another milestone in his career as he was making his 400th league appearance in the Valletta shirt. 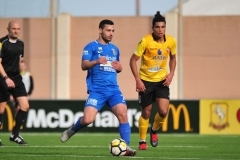 The Wanderers had the first attempt at goal on the 10th minute with Julio Alcorse testing Andrew Hogg with a shot from inside the area when served on the right by John Mintoff. However the Valletta custodian neutralised his effort. On 16 minutes, Njongo Priso received a through pass by Roderick Briffa and anticipated Simon Agius with a cute lob but the ball ended high. On the other side of the pitch, a Pedro Calcado freekick was parried by Hogg on 22 minutes. 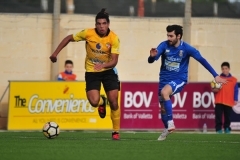 On the 37th, Pedro Calcado served Julio Alcorse on the right but the Valletta custodian rushed to the edge of the area to anticipate the Argentinean striker. Three minutes later, a cross shot by Steve Bezzina from the left was turned into a corner by Simon Agius. Two minutes in added time, Valletta managed to take the lead when off a cross from the right by Terence Scerri, Michael Mifsud headed the ball home. 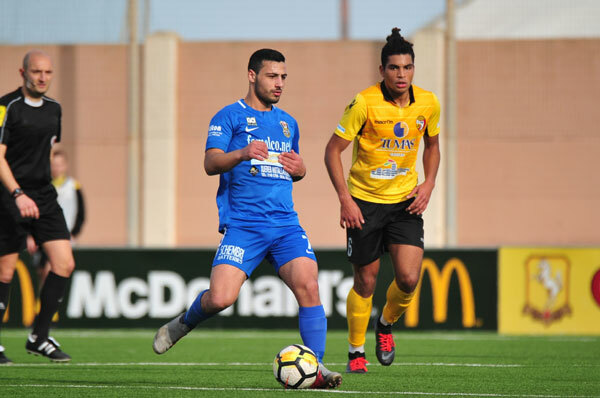 Just before the half-time whistle, the Wanderers appealed for a penalty after Jean Pierre Mifsud Triganza ended on the ground inside the area. However referee Alan Mario Sant waved play on. On his way to the tunnel at the end of the first half, Luke Dimech removed his shirt as he was the target of signs of disapproval by Valletta supporters. The central defender, who was booked earlier on in the game, was therefore sent off leaving his side in ten men for the rest of the game. Four minutes in the second half, Scerri sent Mifsud through but Clifford Gatt Baldacchino came to the rescue clearing the ball into safety. Two minutes later, Mifsud received another through pass, this time by Roderick Briffa but Simon Agius blocked his close-range effort. Valletta doubled the score on 66 minutes when Njongo Priso concluded a great run on the left flank with a diagonal shot which gave goalkeeper Simon Agius no chance. 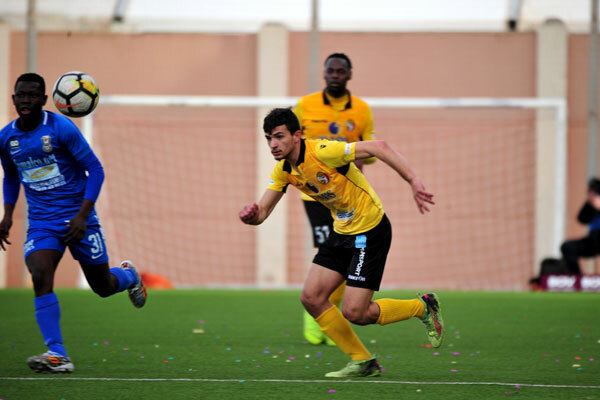 The Sliema goalie performed a good save on a Gilbert Agius freekick from the left on 78 minutes as the Citizens continued to hold the initiative. In added time, substitute Amadeo Mercieca could have scored a consolation goal for the Wanderers but his conclusion from the right was neutralised by Hogg. Njongo Priso was voted BOV Player of the Match. VALLETTA Andrew Hogg, Steve Bezzina, Steve Borg, Luke Dimech, Roderick Briffa, Gilbert Agius (86’ Edmond Agius), Jamie Pace, Njongo Priso (90’ Dyson Falzon), Michael Mifsud, Terence Scerri (62’ Kevin Sammut), Kenneth Scicluna. Subs not used:. Nicky Vella, Declan O’Brien, Dylan Grima, Cleavon Frendo. 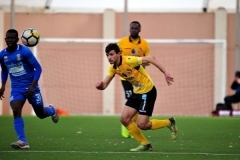 SLIEMA Simon Agius, Ian Azzopardi, Josef Mifsud, Noel Turner (81’ Ray Attard), Jean Pierre Mifsud Triganza (74’ Amadeo Mercieca), Clifford Gatt Baldacchino (85’ Ian Ciantar), Ivan Woods, Lucian Dronca, Julio Cesar Alcorse, Pedro Dos Santos Calcado, John Mintoff. Subs not used: Jeremy Alden, Luca Martinelli, Andrew Caligari, Ryan Dalli.